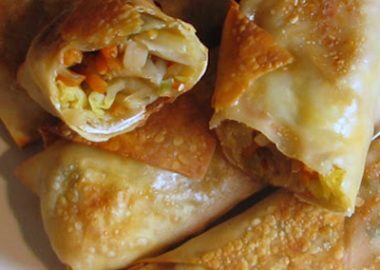 This is a recipe I make often because it’s super quick, tasty, and easy to make. I also love that it pairs with so many different main course dishes. 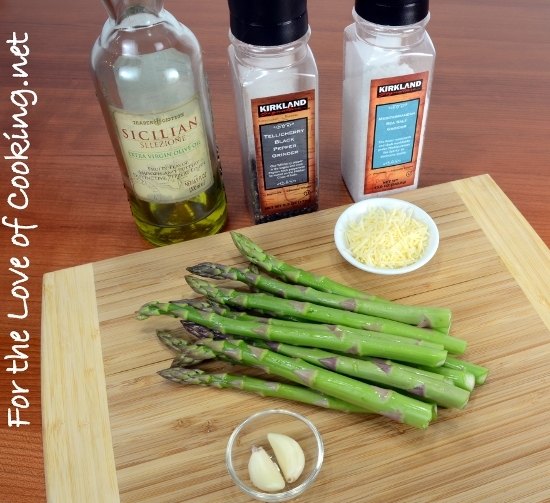 I love the garlicky flavor with the salty Parmesasn – it makes the asparagus extra special in my opinion. I served this asparagus with a delicious meatloaf (to post tomorrow) and some Creamy Mashed Potatoes for a delicious and comforting meal. Remove the wooden ends of the asparagus spears. Swirl a 1/2 teaspoon of olive oil in a skillet over medium heat. Add the asparagus spears in a single layer then cover with a lid and cook until the asparagus is bright green and still crisp, about 5 minutes. Uncover and season with sea salt and freshly cracked pepper, to taste. Continue to cook, stirring often until the spears are fork tender yet still a bit crisp, another 1-2 minutes. Move the spears to one side of the skillet then add the last 1/2 teaspoon of olive oil to the other side of the skillet. 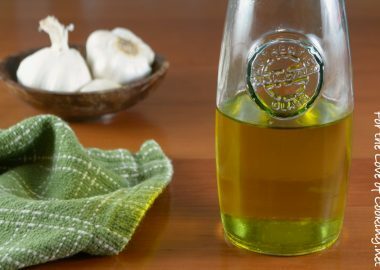 Add the minced garlic to the olive oil, and cook for 30 seconds, stirring the garlic constantly. Toss the spears with the garlic and olive oil for 30 seconds then remove from the skillet to a serving plate. 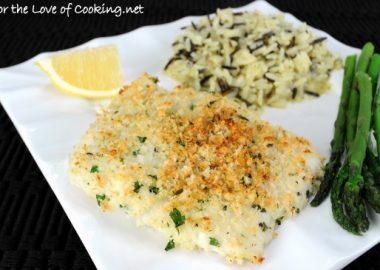 Top with shredded Parmesan cheese and serve immediately. Enjoy. Hi Pam. That is a favorite in our house too! 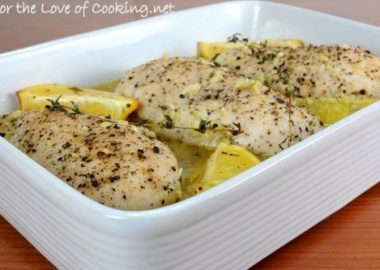 I toss in Olive Oil and season and roast in the oven. YUM!! 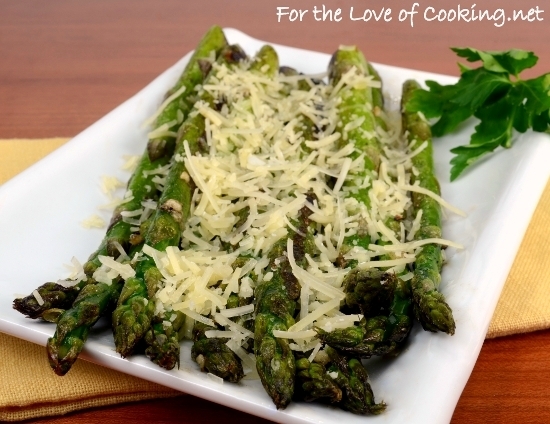 I love this method of cooking asparagus! I add a pinch of red pepper flakes to the oil to add a little heat. Also, I sometimes omit the cheese and top with a splash of soy sauce for an asian flavor. 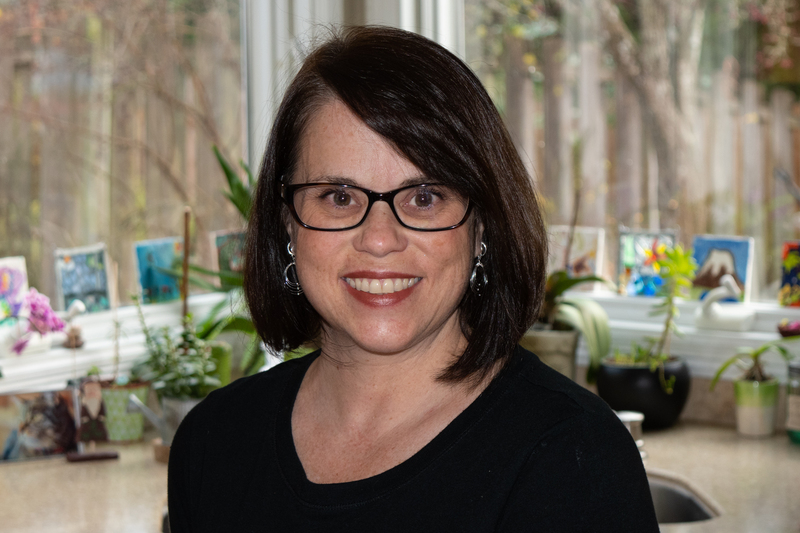 Hi Pam, love your version…bookmarked!! 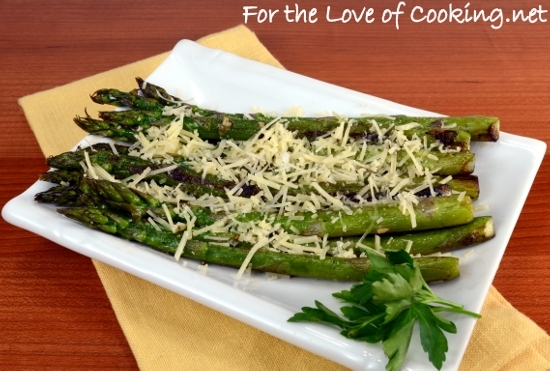 I’m always looking for new ways to cook asparagus –thanks for sharing Pam. hmmm, this sounds like a lovely and different way to serve asparagus. yummy! 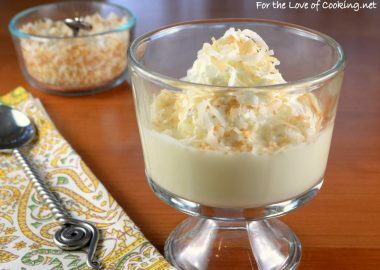 This is one terrific recipe. I’ll have to try this. I love asparagus, the DH does not. Who cares, I’m making it for just me!! This looks delicious! I love asparagus, and have a couple good variations for roasting it, but will definitely have to try this flavor combination! How delicious and fantastic is this combination of flavours and textures! I am eagerly waiting for asparagus season and all things Spring. 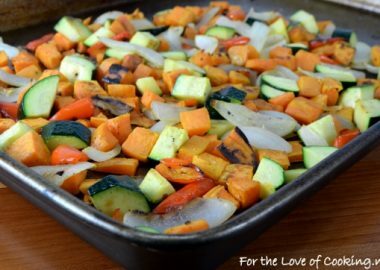 Love the simplicity and flavors of this dish! Roasted asparagus is my favorite! I literally could eat it every day. Sounds delish! See asparagus start to show up at the markets for a decent price is very exciting, definitely a promise of spring! 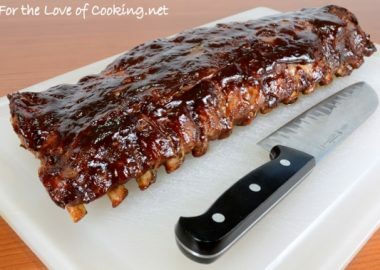 I do something similar, but I cut my asparagus in bite sized pieces on the diagonal! I need to try adding the parmesan, which I’ve never done. 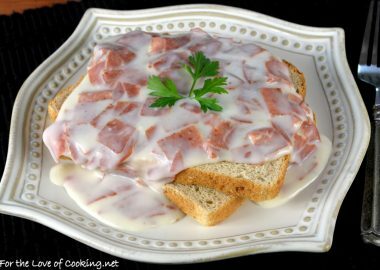 this sounds so good in a creamy soup! This is so delicious! Can’t wait for the asparagus season arrive! Asparagus is always one of my favorite vegetables. This is such a yummy way to serve it. 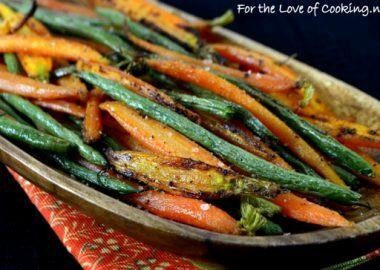 Next to deep fried asparagus (amazing amazing amazing), this is my favorite veggie and my favorite preparation of it…even better than grilled. Don’t tell anyone I said that. This method of preparing asparagus looks delicious. will definitely give it a try. 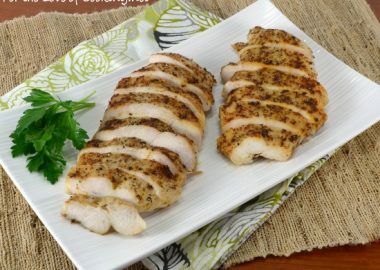 I’m making it and I’m o so excited to try it except I twisted it up alil and added some cilantro mmmm perfect diet food! 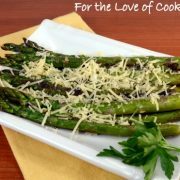 I received some asparagus from my in-laws and was looking for a recipe for quickly preparing. Found this and it was magic! So simple yet full of flavor.